Home » Drama » With no news on broadcast dates for new ‘Doc Martin’ episodes in America, let’s take a trip around the ‘Doc Martin’ world…. Unfortunately, no news is not always good news. 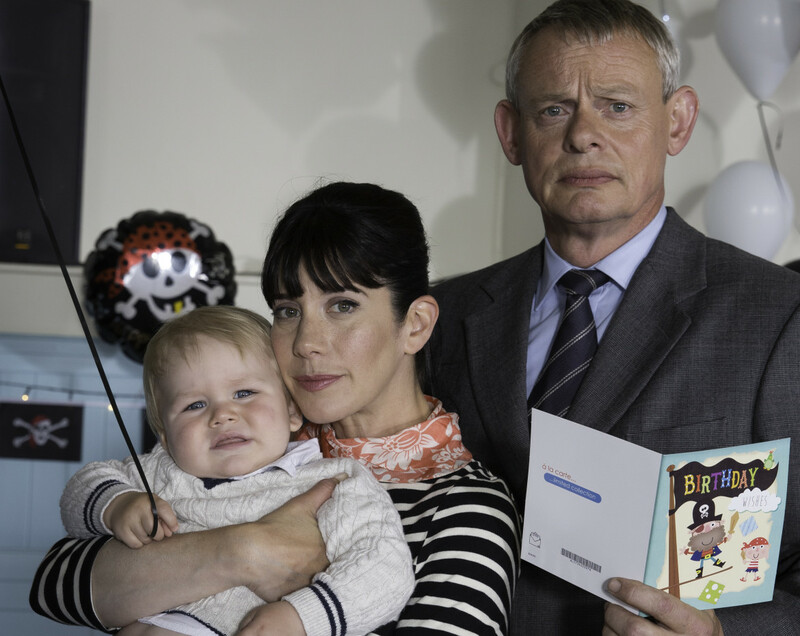 With new episodes of Doc Martin still in limbo as to when they will arrive on the public television doorstep, you might painfully remember that when we last visited picturesque Portwenn at the end of series 7, viewers were left wondering what the future might hold for the Doc, Louisa and baby James. With rumors, once again, swirling the Internet waters about a possible American version of Doc Martin on the horizon (I can’t remotely imagine an American equivalent of Cornwall), let’s attempt to cure everyone’s separation anxiety and take a quick trip around the globe and see how other countries have successfully formatted the brilliant British version that stars Martin Clunes, Caroline Catz, Ian McNeice, Joe Absolom and John Marquez. Many countries have opted to acquire the format rights and film native language versions featuring their own Doc, Doktor or Docteur rather than simply audio dub the original. While tweaked just a bit from Clunes’ UK version, many bear a striking resemblance in storyline with two notable exceptions. 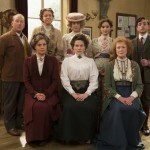 There’s no one that can play Dr. Martin Ellingham like Martin Clunes and Port Isaac is just drop dead gorgeous. 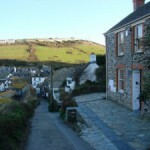 That said, most are as big a hit with local audiences as the original Doc Martin is on both ITV in the UK and public television in the States. Meet Dr Martin Helling (Axel Milburg), a ­vascular surgeon from Berlin who has, you guessed it, a fear of blood and lives in a quaint fishing village. There’s his girlfriend and blonde teacher, Thea, Gert the fat plumber, a dim policeman, a lazy receptionist, and the doc’s Aunt Alma. The German version actually bought the original music and is, basically, a shot by shot recreation of the original. Next up is bearded surgeon Mateo Sancristobal (Gonzalo de Castro), who develops a blood ­phobia while working in New York and returns to his village in Spain, where he becomes the local doctor in the fictional village of San Martín del Sella. Fortunately, for the doc, there’s Adriana, the school teacher, Aunt Juana, and Alfredo, the dim policeman. Almost forgot to mention, the doc is grumpy. Dr Martin Le Foll (Thierry Lhermitte) develops, you guessed it again, a phobia for blood while at the University of Lyon and winds up as the GP in the small village Breton port of Port-Garrec. As you would expect, the good doctor struggles to adapt to the off-the-wall characters living in Port-Garrec, led by his totally incompetent medical secretary. Fortunately, there’s a teacher (Julie) who provides a potential romantic interest and an Aunt to keep him in line. 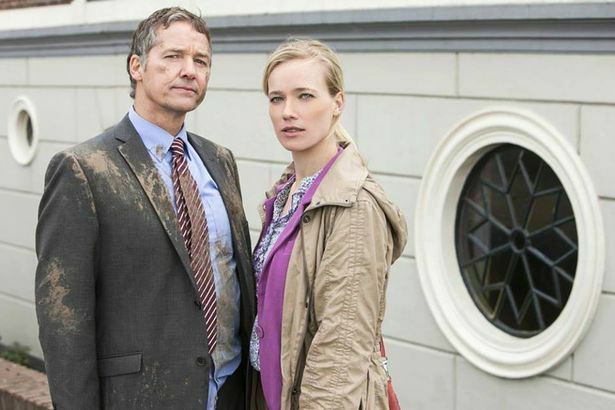 Dr. Martin Gruber (Hans Sigi) is ‘the mountain doctor’ in the Austrian version. Set in the picturesque village of Ellmau in the Tirol region. Like Portwenn, this is a rural setting but in mountains rather than on the coast. Surprise! A snobbish, wise guy Amsterdam vascular surgeon, Dr Martinus Elsenboch (Thom Hoffman), develops a blood phobia, moves to the country village Wourkem, where his aunt Jannie lives and succeeds the old, popular only GP in the village. There’s also Bert, a fat plumber, the Doc’s girlfriend, Lisa, a teacher and seemingly the only redhead in Holland, a pharmacist in a neck brace, a lazy receptionist and Ken the policeman. 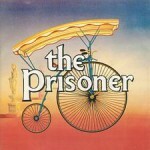 Other versions include the newest addition to the Doc Martin worldwide phenomenon, a Czech television version set in the Beskydy mountains, which is a Portwenn-like picturesque area in the east of the Czech Republic which is a long way from the capital, Prague, and dependent on the tourist industry. A version for Greek television, Kliniki Periptosi (which translates to Clinical Cases), with Markos Staikos, a surgeon from New York, who moves to a quaint Greek fishing village. Let me guess, a phobia for blood, perhaps? And, several years ago, there were rumors that Doc Martin would find its way to Iran with a version filmed there for a modern Persian audience. In the meantime, if you’re not traveling, you can always catch Doc Martin in reruns until series 8 becomes available to your local public television station. 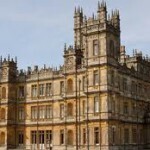 Fancy a tour of Julian Fellowes' Historical Houses in 2013?